UT has been waiting for the opening of the new gym for over a year. 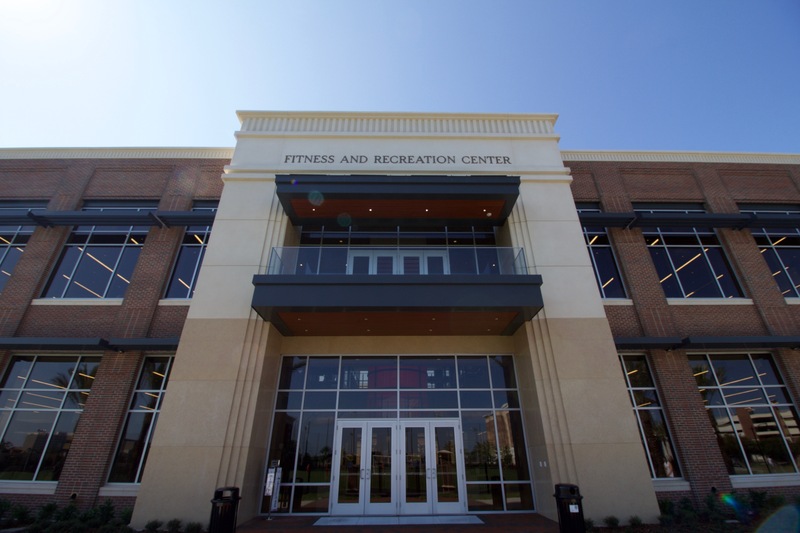 Eight times bigger than the old gym, McNiff, the new center has six exercise rooms, seemingly endless treadmills and ellipticals, free weights and new machines. The intramural staff and campus recreation also have new, more accessible offices with glass walls, visible to the students who use the gym. Along with the new offices, and possibly the most exciting of all, is that the basketball courts are back, with the volleyball courts following close behind, allowing the intramural staff to reinstall outdoor 3 v. 3 basketball and sand volleyball, two of the most popular sports for the program. “Having these new facilities open up a vast amount of opportunities to offer the UT participants,” said Joshua Pullens, the new coordinator of intramural sports. Pullens started his intramural career in his undergraduate years at California State Polytechnic University, Pomona as an intramural referee. Upon graduating, he completed a yearlong internship at the Claremont Colleges and received his Master of Science degree in recreation and sport administration at Western Kentucky University. “I found that I had a passion for being around sports and helping people,” Pullens said. His help hasn’t gone unnoticed. Already having added three new options to the choices of sports to participate in, Pullens wants the intramural program to appeal to all types of students and their sporting interests. For example, NFL Pick ‘Em is a new option on IMLeagues. This allows students to have the option to participate in sports without playing them by participating in a fantasy football like league. For the less sporty students, the athletic combine will allow students to compete in a 40-yard dash, bench press, broad jump and shuttle run. The program has also added a three point shooting contest. Robert Hughes, a senior and three year veteran intramural staff, is excited to see what the new gym and Pullens will bring to the table. With the location of the gym being in the center of campus, students filter in and out all hours of the day. In order to get involved with intramurals, a student has to create an account on IMLeagues.com using their spartan email address. From there, the students can browse the sport options for this half of the semester. Flag football, handball, kickball and ultimate frisbee are open now for registration until September 12 at midnight. If a student hasn’t registered already, it’s not too late. Students can join teams up until the playoffs. Because of the gym’s popularity, there’s speculation that it will take away from the intramural program. Sophomore elementary education major Liz Kramer doesn’t think that is true. For more information, stop by the new campus recreation office in the new gym or visit ut.edu/recreation/intramuralsports/. Hannah Farrow can be reached at Hannah.Farrow@spartans.ut.edu.